In an effort to better understand the correlation between industrial investment and economic growth in local communities, the client needed relevant statistics to conduct their analysis. While industrial building permits are publicly available, the valuable information contained in these unstructured documents was not accessible for analysis. The client needed to find an efficient way to extract this information without resorting to costly and time-consuming manual processing. We didn’t need any IT resources and were up and running in half a day. The system learned super fast, suggesting values after seeing only a dozen documents,” said the Project Lead. The solution took scanned documents and turned them into spreadsheets. Following a brief training session, one team member was able to extract data from 250 documents in just a few hours. The system learned in only 15 minutes, enabling the team to process each document in less than 30 seconds. ​The team was impressed at how quickly SortSpoke was able to dramatically boost productivity without additional IT resources, and make these analyses more accessible, shareable and usable. 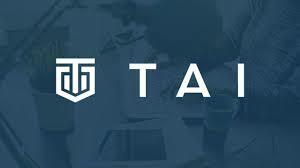 TAI and SortSpoke worked together to integrate SortSpoke into their processes and systems. The results were immediate and dramatic. © 2019 Mocsy Inc. (o/a SortSpoke).